"We are taking steps to let the dealers know that marking up the car is not a good thing," said Nissan North America Spokesman Darryll Harrison. "We're trying to take steps to curb excessive markups." North America's regional sales offices, which will oversee the sales prices of the car and provide "counsel" in case of price gouging. It is unusual for dealers to have to turn over orders to regional offices for oversight. The 691 Nissan dealers who won GT-R certification are "many of our urban dealers in larger markets," said Harrison. A complete list is available at nissanusa.com. To become certified, the dealers had to have a master technician on staff who is trained in the "ins and outs of the GT-R," said Harrison. 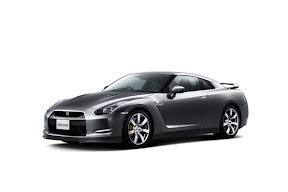 The certified dealers also had to invest in an upgrade of their facility, down to such details as providing larger lifts to accommodate the low and wide body of the GT-R.
Nissan also formally detailed pricing on the GT-R — except for the destination charge, which has not yet been set. The base GT-R is priced at $69,850; the GT-R Premium starts at $71,900. An iPod converter adds $360 to the bottom line, while carpeted GT-R floor mats add $280. "Super Silver," a special exterior paint, costs an additional $3,000. A cold-weather package is a no-cost option and bundles either all-season or snow tires made specifically for the GT-R, as well as different fluids that allow the car to operate in optimum fashion in colder climates. Harrison said that customers should expect the pre-order process to require a down payment. But the automaker is not allowed to set that amount for the dealers. Harrison said bloggers have been e-mailing him, suggesting that pre-orders may require deposits as low as $500 or $1,000. The Web site Exhaustnote.com warns of additional charges of $25,000-$60,000 over sticker for the GT-R in the U.S. Harrison would not provide advice to consumers on how much of a down payment is reasonable. Harrison says the company expects a U.S. sales volume for the GT-R of 2,500 units in the first full year, followed by sales of about 1,500 a year afterwards. He emphasized that the 2,500 was a sales number, not a production number. "The 2,500 number is not a production cutoff," Harrison said. "We haven't determined whether or not we'll do that [cut off sales at a certain point]."